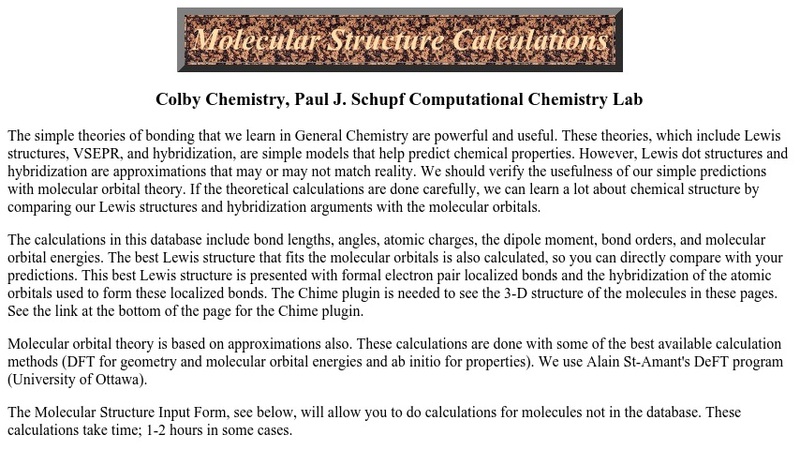 This site combines useful visualizations with molecular orbital calculations. The results of the calculations are compared with standard theories (VSEPR, Valence Bond Theory, Lewis Structures, etc. ).